The cost of the Canadian Government’s plan to implement the Adult Fitness Tax Credit is stated to be much lower than the originally estimated cost researched by Fitness Industry Council of Canada. On September 25th, a report from the federal budget office was released. This report proclaimed that the implementation of an Adult Fitness Tax Credit could cost the government upwards of $268 million over five years. If the credit were implemented, it would allow Canadians to claim a non-refundable tax credit of up to $500 for eligible physical activity program costs against their taxable income at a rate of 15 per cent, or a maximum of $75 deducted from tax payable. In 2007, Fitness Industry Council of Canada (FIC) commissioned an economic report from the Centre for Spatial Economics (CSE), which outlined the potential costs of implementing the tax credit, as well as potential economic benefits that would result from its implementation. The federal budget office currently estimates that the implementation of an Adult Fitness Tax Credit could cost $268 million over five years. The 2007 CSE report estimated that it would cost government $389.5 million, which makes the government’s prediction $121.5 million less than expected. At Fitness Focus, the goal is to offer a fitness center with a welcoming,fun and safe environment that all ages can enjoy. They are a forerunner in the fitness industry in Saskatoon . With the ever changing fitness demands of new and improved classes, training; and nutrition. They are your TRUSTED SASKATOON FITNESS EXPERTS! Here Kristen helps Heather do the perfect squats - to get the booty in shape! 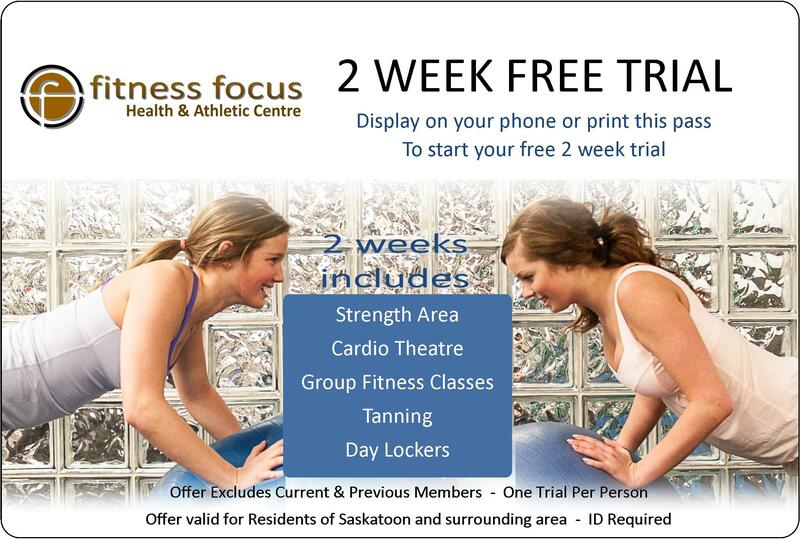 Find Fitness Focus Health & Athletic Centre at 1250 Ontario Avenue, or check out their listing here in the Saskatoon Fitness & Gyms Category on THE Saskatoon directory of excellence. They are YOUR Trusted experts right here in Saskatoon! Here is our favorite article chosen from the September 2012 issue of Saskatoon Wellbeing Magazine. This month's article is about sleep. Most of us take this luxury for granted; we don't realize how important a good night sleep really is to what we do the following day. It can affect your work, relationships with people and even be the deciding factor of whether to make it to the gym or not. This article touches base on a side of sleep deprivation we might not be acknowledging. She needs complete silence to get to sleep. He likes the white noise of a fan in the background. The fan also keeps him cool, but she likes to be nice and warm. She needs darkness and he can fall asleep in a fully lit room. He tends to go to sleep early and wake up early, while she’s just the opposite. He twitches in his sleep. Oh, and he snores. They have tried different tactics to solve their sleep differences. She sings the praises of her sleep mask. They tried having different blankets for each of them. Schedule adjustments. Earplugs. No matter what they attempted, the glaring truth was staring them in the face: they were not meant to sleep in the same room. Many couples are experiencing similar dilemmas and most are hesitant to resort to separate bedrooms, but it is a growing trend for partners to split up at bedtime. From 2001 to 2005, the National Sleep Foundation found that the numbers of American married couples that sleep in separate beds rose from 12 per cent to 23 per cent. The Sleep Council of England reports that 1 in 4 Brits habitually spend their nights in spare rooms or on sofas. Want more proof? The National Association of Home Builders says there have been more and more requests for homes built with two master bedrooms. In fact, they estimate that by the year 2015, 60 per cent of all custom-built homes will have his and hers bedrooms. Proponents of separate bedrooms have several good arguments to back them up and even some scientific evidence.